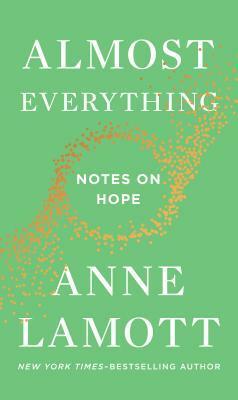 Anne Lamott is an author of several novels and works of non-fiction. Based in the San Francisco Bay Area, her non-fiction works are largely autobiographical, with strong doses of self-deprecating humor and covering such subjects as alcoholism, single motherhood, and Christianity. She appeals to her fans because of her sense of humor, her deeply felt insights, and her outspoken views on topics such as her left-of-center politics and her unconventional Christian faith. She is a graduate of Drew College Preparatory School in San Francisco, California. Her father, Kenneth Lamott, was also a writer and was the basis of her first novel Hard Laughter. Lamott's life is documented in Freida Lee Mock's 1999 documentary Bird by Bird: A Film Portrait of Writer Anne Lamott.